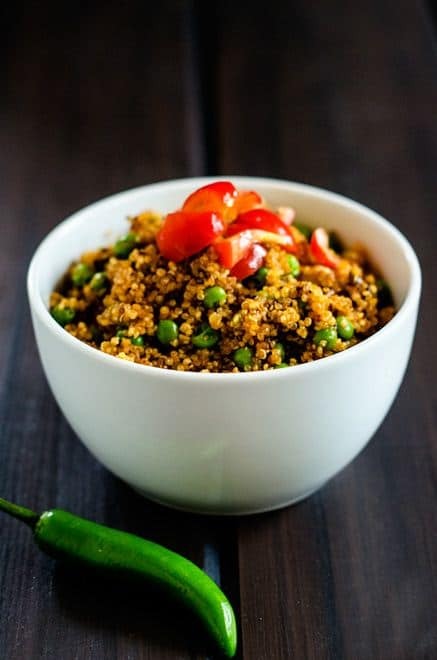 This Mexican Quinoa is delicious side that pairs well with everything from tacos to grilled steak. With less than 10 ingredients, this easy recipe will become a regular in your routine. Although I love complicated flavor profiles, every mom needs a few basic dishes in their arsenal. Last week I mentioned that because of the arsenic in rice issue that I was converting most of my rice dishes to quinoa. We already eat a lot of quinoa around our house (I’m sure that is shocking), but the truth is that the boys still really enjoy rice. Luckily they like quinoa too, so it hasn’t been such a big deal. 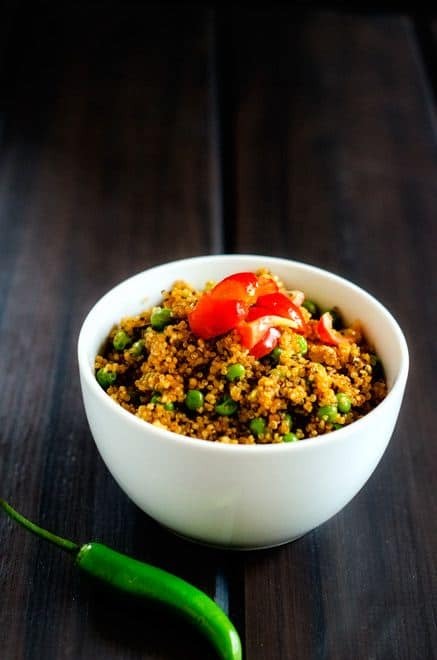 This Mexican Style Quinoa is a play on Mexican Red Rice. 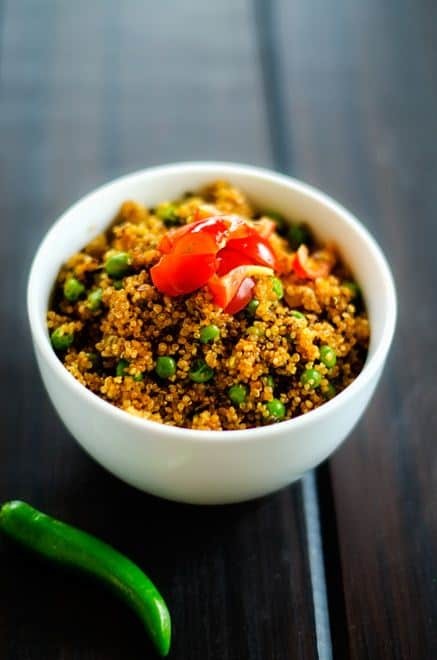 The quinoa cooks in the tomatoes, giving it a great flavor. I’ve added smoked paprika, which gives a smokey flavor that our whole family enjoys. Feel free to leave it off if your family isn’t as enthusiastic. This is a great side dish to serve with tacos, enchiladas or pretty much anything. I also like it in a Mexican Wrap. Place vegetable broth and tomatoes in a blender and process until smooth. Set aside. Heat olive oil to medium high. Add chiles and onion and cook for 4 minutes. Add quinoa, then garlic and paprika and cook for 3 more minutes, stirring often. Add tomato mixture and bring to a simmer. Reduce heat to low and cover. Cook for 30 minutes. Add peas and recover. Cook for 5 minutes longer. Remove from heat and allow to sit for 5 more minutes. Fluff and serve. Mexican food is my favorite! 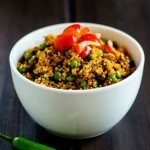 I would love to give this style of quinoa a try!